A new study published in the Journal of the American Heart Association found that people who ate an avocado daily had lower levels of low-density lipoprotein (LDL) — known as the "bad cholesterol" — than those who were on a similar diet but didn't eat avocado. 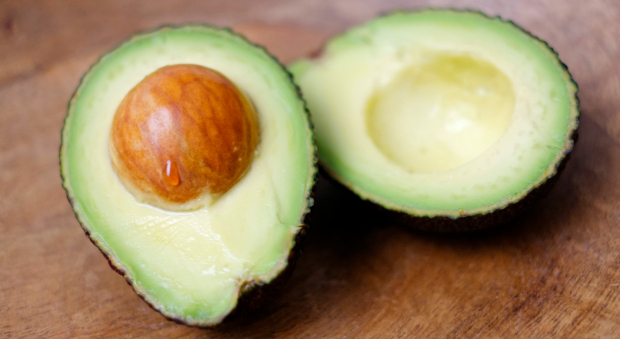 The study's researchers found that participants who ate a moderate-fat diet including avocado for five weeks lowered their LDL by 13.5 mg/dL, while those who followed a moderate-fat diet without avocado only lowered their LDL by 8.3 mg/dL. But that wasn't the only benefit. Those who consumed the avocado diet also lowered their total cholesterol and triglycerides, which could further benefit their heart health. Experts say that along with avocados, other heart-healthy fats like nuts and extra-virgin oil may help reduce the risk of heart disease. But before you dig into the guac, know that what you pair with your avocado makes a difference in heart health, too. So skip the salty, high-cal chips and consider dipping veggies like carrots and celery into the dip instead; you'll still get the crunch you crave. Some other tasty ideas: Chop up an avocado and use it as a garnish for black bean soup, mash it up into a sandwich spread for a healthier alternative to mayonnaise or simply scoop it straight from the skin!